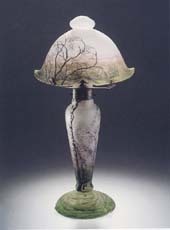 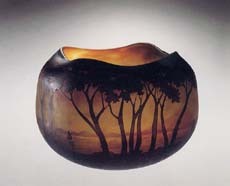 Exhibition of Art Nouveau glass works composed of more than 100 pieces mainly by Emile Gallé and Daum and by the other famous European artists of 19th–20th century from the collection of State Hermitage Museum. 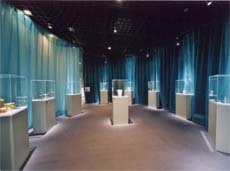 Main theme of the exhibition was the diplomatic gifts from France to Russia. 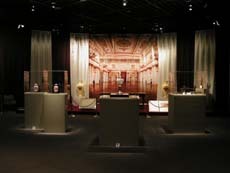 The highlight of the exhibition was a memorial big table “Flore de Lorraine” designed by Emile Gallé that was gifted to Russia from France as a symbol of friendship between two countries.